Fireflies and Jellybeans: Iron Crafter Round 5 Guest Judge! I am so excited that Elizabeth from Twelve Crafts Till Christmas has agreed to be a guest judge for our next round! I don't know if you remember, but Elizabeth was the first winner of the Iron Crafter! Yep - she totally rocked the 1st round of Iron Crafter when the Secret Ingredient was Recycled Cans. Her winning project were these Soda Can Bracelets! I also have to tell you that Elizabeth is one of the SWEETEST bloggers out there. I have become quick blogging friends with her! I hope that we can meet in person some day! You may want to start kissing up to Elizabeth now! 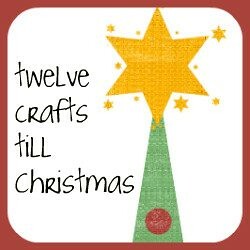 Go over to her blog:Twelve Crafts Till Christmas and leave her some comment love! 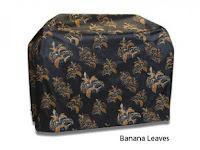 Don't forget that the Iron Crafter Round 5 - Secret Ingredient: Card Board Boxes starts Monday Sept 20th! The pillow buddies are pretty awesome! I haven't heard from you since I noticed on here that I won the last iron crafter's challenge. How do you usually arrange for prizes?